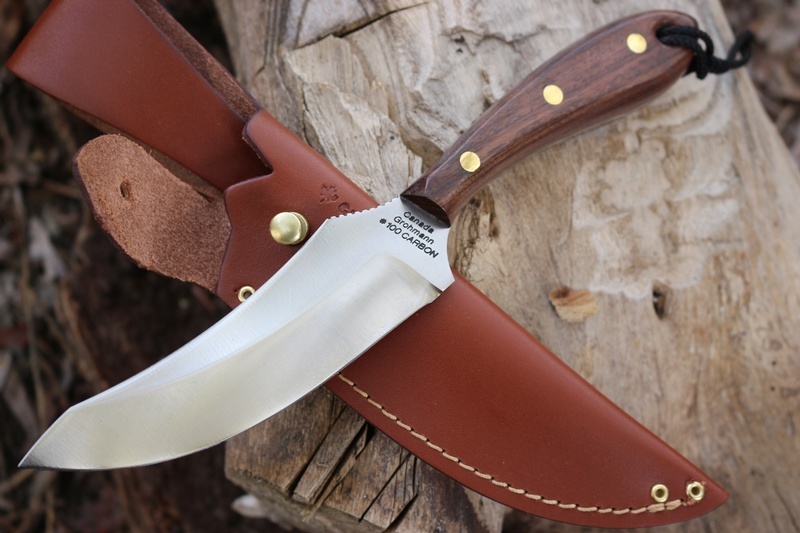 Made in Canada, this Grohmann classic is the Large Skinner. 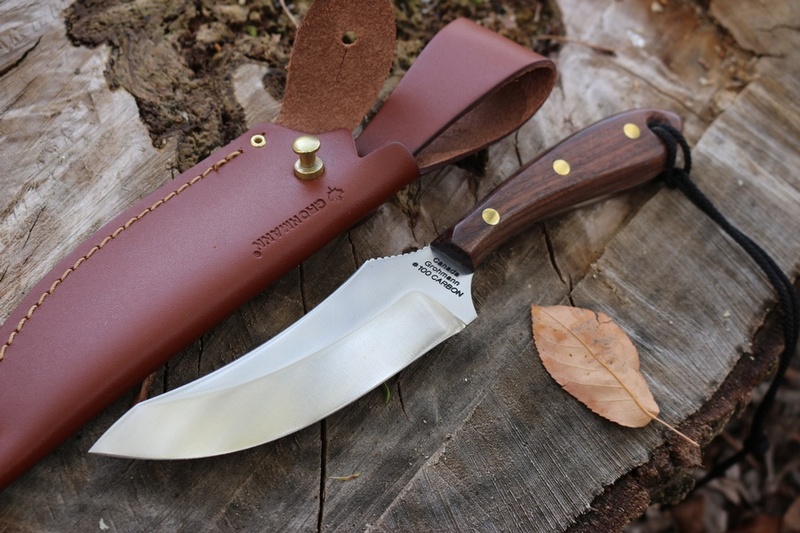 Its German High Carbon C70 (58 HRC) Blade is thinned (2.75mm) in comparison to the Survival knife and offers an excellent cutting edge for the camp and food processing. 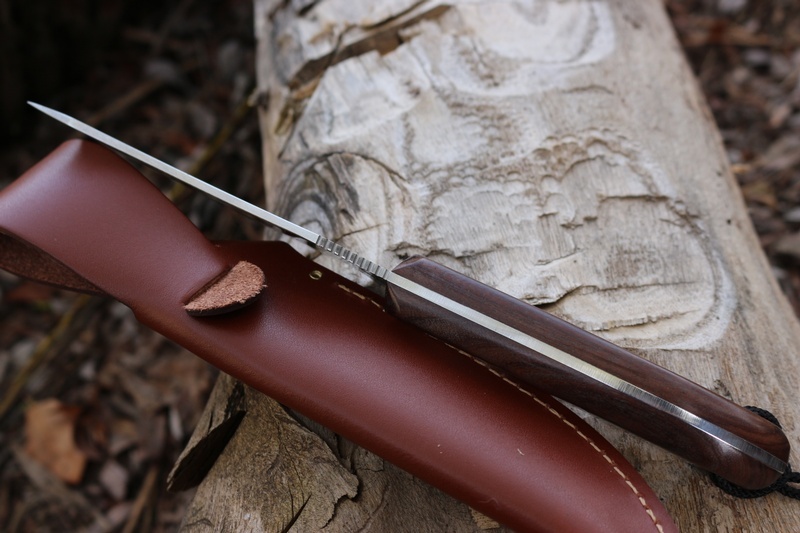 Of course Its upswept blade lends itself to the art of field dressing, but its also a very good all around Outdoor knife. 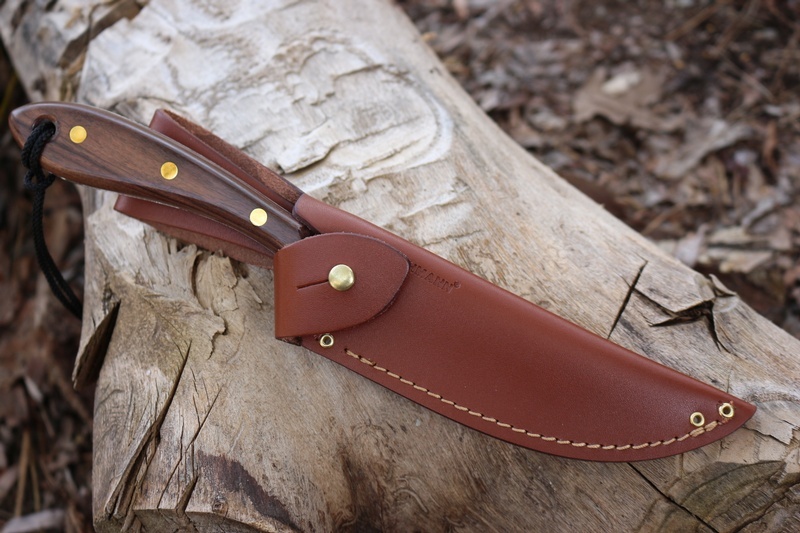 Comes with quality leather sheath, see pictures for details. 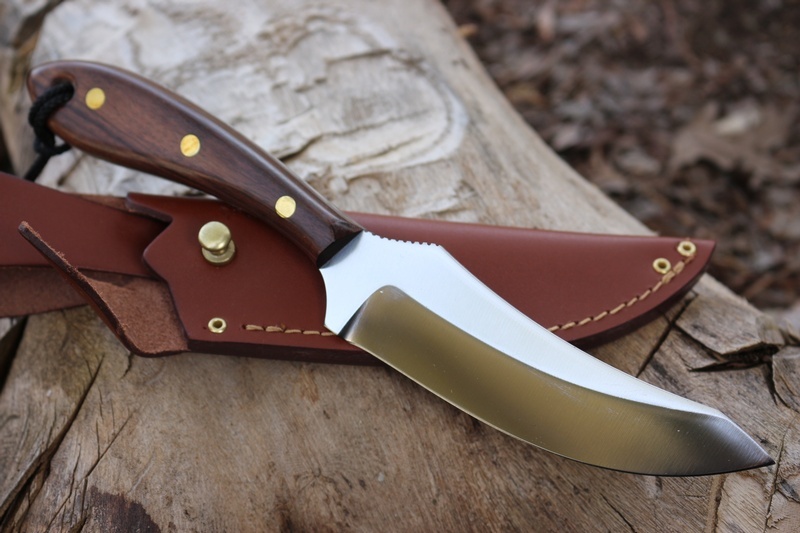 Designed for dressing only, large handle for larger hands, available with tab/lock down sheath design with belt loop positioned high enough for comfort while sitting or riding. Purchase through PayPal by using the "Add To Cart" button above or use the form below to order the Grohmann Large Skinner Carbon . Feel free to contact us if you have any questions about the Grohmann Large Skinner Carbon .